Date Wise 12-05-2018 and Teacher Study Material Subject wise Notes Lecture Notes Sanskrit, Hindi, English, SST, Economics, psychology notes, Teaching Method, GK, Math, URDU, Punjabi, Science subjects Physics, Chemistry, Zoology, Botany, Micro-Biology, Bio-Technology, and Bio-Chemistry. 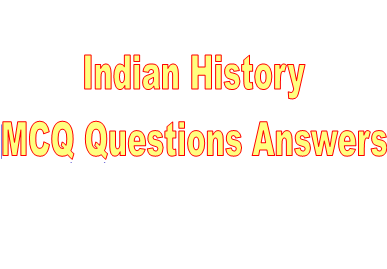 History, Geography, Economics, Political Science, Sociology, Social Science Indian History. Question. (1) Where was the first Buddhist music organized and under whose rule? प्रथम बौद्ध संगीति कहाँ और किसके शासन में आयोजित की गई ? Question. (2) Where and where was the second Buddhist music organized? द्वितीय बौद्ध संगीति कहाँ और किसके शासन में आयोजित की गई? Question. (3) Which ruler protected the third Buddhist music? किस शासक द्वारा तृतीय बौद्ध संगीति को संरक्षण प्रदान किया? Question. (4) Where and where was the fourth Buddhist music organized? चतुर्थ बौद्ध संगीति कहाँ और किसके शासन में आयोजित की गई? Question. (5) What is the location of the Indian rail network in Asia? भारतीय रेल नेटवर्क का एशिया में कौन-सा स्थान है? Question. (6) When was the establishment of Indian Railway Board? भारतीय रेलवे बोर्ड की स्थापना कब की गई थी? Question. (7) which language is the script of the Buddhist texts ‘Tripitaka’ composed? बौद्ध ग्रंथ ‘त्रिपटक’ की रचना किस भाषा में की गई है? Question. (8) who is Sanchi famous? साँची किसके लिए विख्यात है? Question. (9) Which Kshatriya tribe was born Mahavira? महावीर का जन्म किस क्षत्रिय गोत्र में हुआ? Question. (10) Which is the oldest university? सबसे प्राचीन विश्वविद्यालय कौन-सा है?